Travis Scott had a big night at the 2019 Grammys but he didn't go home with any of the three awards he was nominated for. However, the rapper, who just kicked off the second leg of the "Astroworld" tour, brought a bit of spice to the stage with a special performance. 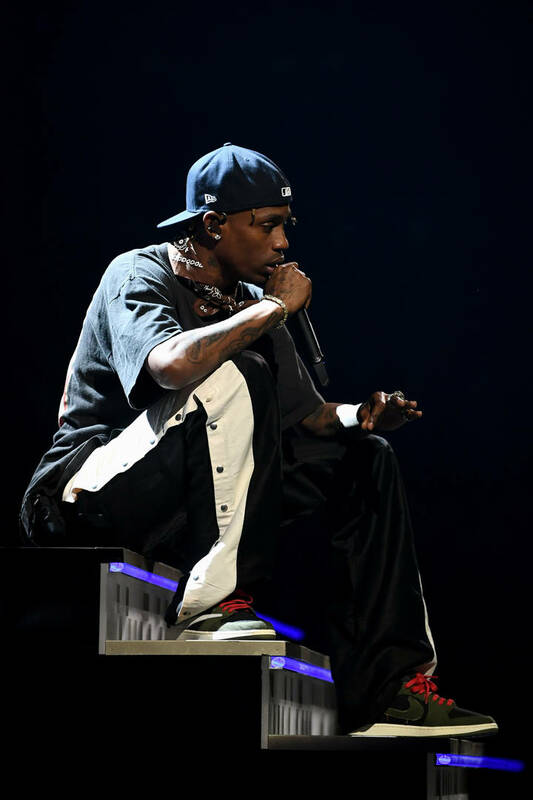 The rapper performed a medley of songs off of his latest album, "Stop Trying To Be God" and "No Bystanders." Scott kicked things off on a mellow note before sparking a riot. The rapper opened his performance with "Stop Trying To Be God" which featured James Blake, Philip Bailey, Mike Dean, and Earth, Wind & Fire. Scott then brought his Astroworld vibes to 100 with "No Bystanders." The rapper performed his single while inside of a cage and a bunch of wild kids moshed on stage. It was either culture shock to the committee or a reminder that they too were young once upon a time. Scott's performance was at the Grammys came a week after he performed his Grammy-nominated single, "Sicko Mode" at the Super Bowl half time show. The song was up for Best Rap Song and Best Rap performance while Astroworld was up for Rap Album of The Year -- ultimately losing to Cardi B's Invasion Of Privacy. The rapper's latest collaboration with Jordan received a surprise drop during his Grammy performance as well. Peep info on where you could cop that here.